Terminator will be Screen Testing Actresses Next Week! Also Kyle Reese and John Connor! Terminator (2015) is getting ready to go before cameras starting in January this of course means that potential actors/actresses are going to be screen tested separately and together for some familiar characters. And who exactly are these characters? John Connor, Sarah Connor and Kyle Reese! Now we’ve known for quite a while now that Terminator is a reboot so the actors and actresses that I’m going to share with you shouldn’t be too much of a shock age wise. You see they’re casting Sarah Connor at around 20 which is pretty similar to her age in The Terminator. So let’s look at our possible Sarah Connor’s shall we. These are in my preferred order from my favorite to least favorite of the actresses listed, although either of the first two would be fine. When I went through searching for pictures of Brie Larson yesterday this was the one that spoke to me. There’s the youth that needs to be present in Sarah at this time but also a hardness too. In her eyes and in the way that she’s captured that camera, there seems to be a depth to the character that’s needed even before the craziness begins. Once again these first two would be just fine, in fact this shot of Emilia Clarke really screams a young Sarah Connor to me. In fact there’s just something that I just can’t accurately put into words about this picture that strikes me as perfect. Once again I’m attracted to the eyes, but there’s just something about the whole shape of the face that seems RIGHT for Sarah Connor. As I was saying the third named choice Margot Robbie seems to me to be stereo-typically Hollywood. And that just doesn’t work for me as the right choice for Sarah Connor. Sarah Connor was just an ordinary girl, with an ordinary life that comes crashing down around her. As far as I’m concerned typical eye candy such as this should be far away from Sarah Connor. I’ve seen two names listed recently and today’s article from The Hollywood Reporter clarified that they were for the role of Kyle Reese and not John Connor- thank God. 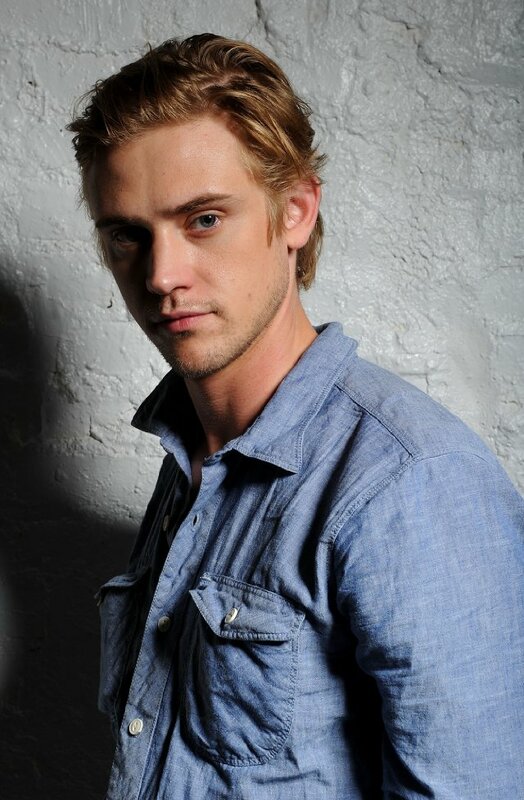 I can certainly see some Kyle Reese in Boyd Holbrook. And let it be known that I always pull for the lesser known names when they come up for a role in a movie that I have interest in. I certainly like his look, he looks enough like the Kyle Reese we’re familiar with to fit right into the role but he’s up against a big name. Garrett Hedlund is someone we’ve certainly seen before in Tron Legacy and depending on how you feel about that will likely color your opinion on this casting choice. For better or worse I still haven’t seen that film, so I only have trailers to go on, and his look. Once again there is n doubt that given the right styling that Garrett can easily look the part of Kyle Reese the question is can he bring the heft and gravitas that is required of the character also. Perhaps we’ll know soon enough. In the THR article it states that director Alan Taylor has one man in mind for the role of John Connor. Yeah. I could totally see that working. I’ve been following your work for a while (since ‘Terminator Salvation’) and am a freelance writer myself. I’d love to talk with you via e-mail about writing and, of course, the Terminator franchise. Awesome. Man this message is OLD. I need to get on here more often. It’s no problem, I had forgotten about this myself. What is a good way to contact you? Quickest and easiest is through Facebook. Message me/friend me. It’ll work better than e-mail. I actually do not have a Facebook.